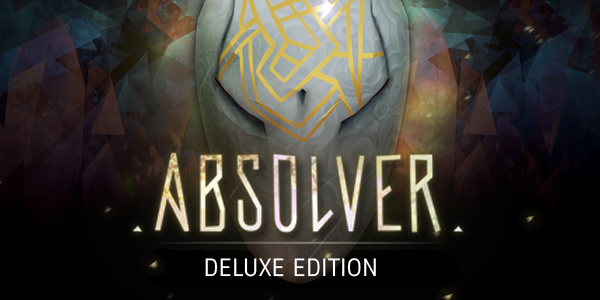 The Absolver: Deluxe Edition Upgrade includes the official soundtrack from Austin Wintory and The Art of Absolver 52-page digital artbook. armor, and build a team of warriors with whom to fight side by side in Arenas of combat. or intense three-on-three melees battles. weapon of choice, and arranging attacks in their Combat Deck to design their unique and personal attack flow. as you make friends or enemies and find mentors or disciples. cooperatively battle to retrieve rare loot and equipment from the depth of the Adal mines. updates can be expected, from new combat styles and moves to new powers and equipment. Equipment is non-dyable and can’t be converted to fragments. All equipment pieces and weapon have the same gameplay stats as gear already existing in-game and offer no gameplay advantage. Multiplayer notice: Absolver features crossplay public matches that you can play with your friends no matter where the game was purchased (PC only). Multiplayer Notice: Please note that the GOG Galaxy Client is required to access Multiplayer. improved the overall online stability in the open World and Combat Trials. AFK feature: inactive players are warned, then kicked from 1v1 and 3v3 games after 60 seconds. Add stamina regen bonus (x1.2) & actions stamina cost (x0.8) during 5s when avoid with an attack. Detected cheaters are now automatically kicked from online play. Additional measures may be implemented, please let us know if you encounter cheaters/hackers. GOG overlay is currently not functional, this will be fixed very soon. ⦁ [Design] Marked ones have been reverted to their original form. 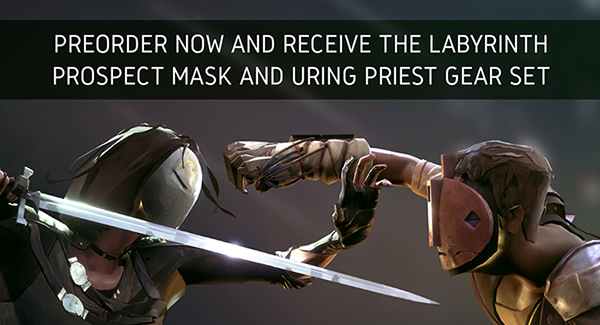 Halloween masks now only available through Rift Disks. The very high amount of XP given by Bosses made it too easy to farm XP and prestige levels in PvE, which was not the original intention, so this has been rebalanced. Combat Trials also now give more XP, so players will now win Prestige levels and Crystals faster. Rift Disks cost has also been updated to reflect this change. ⦁ Inventory management: Sort by, Salvage and Repair. ⦁ New “Bald” haircut available at character creation! Note: These are first steps to address fleeing behaviour. ⦁ Rush attacks were intended to counter players fleeing, but until now the player hit by a rush attack had the time to rush again directly after. With a longer stun and shorter knockback for the rush attacks, and a slower acceleration for the rush, the issue should be less present. ⦁ Also the new rush camera is closer to the character, so the player has not the whole vision of their surroundings, and it feedbacks more clearly when the character is rushing. ⦁ The camera position is now lower when close to walls. ⦁ [SFX] Fixed issue with boss gate SFX sound was playing in PvP maps and during boss fights. ⦁ we have identified a bug which caused animations to play incorrectly and hits not to be detected: this has been fixed and is included in the 1.07 update. ⦁ from a gameplay side, we probably made too many changes at the same time; we have therefore reverted changes made to the dodge mechanic, and done some tweaks to ranges and guard impact of previously changed attacks. Rem, there is no patch for base game from the version you have. ...if you want I'll upload them, it's up to you. vastyr, ok no problem just just upload it all, thanks.